The Tech Factory provide full domain name registration and management services. 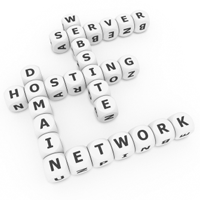 We also provide premium website and email hosting from our dedicated servers. Our servers are connected to a high speed fibre network giving the best possible speed and access to your website. We also offer a full DNS management service including DNS failover which works in harmony with your internet continuity plan. As a registrar, we can register and manage domain names in the UK namespace through Nominet’s registrar systems, which require a minimal level of human intervention and mean that domain names can usually be registered in a matter of seconds. Nominet support three domain management tools for registrars: Extensible Provisioning Protocol (EPP) (used by the majority of our registrars), the Web Domain Manager tool and the Automaton. Interested in Domain Names and Web Hosting with us?